Mary-Anne Martin|Fine Art was established in 1982, in a townhouse in historic Amster Yard on 49th Street in New York City. The gallery was started by Mary-Anne Martin, who had created the Latin American Department at Sotheby’s in the late 1970’s. Dedicated to the promotion of Mexican and Latin American art, the gallery showcases works by major artists of Latin America such as Carrington, Covarrubias, Goeritz, Kahlo, Lam, Matta, Mérida, Orozco, Rivera, Siqueiros, Tamayo, Toledo and Torres-Garcia, Xul Solar and also represents Isabel De Obaldía, and the estate of Gunther Gerzso. 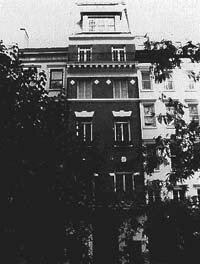 In 1986 the gallery moved to its current location at 23 East 73rd Street, a landmarked Beaux-Arts townhouse. The gallery has become a “must” for serious collectors of Latin American Art as well as a first stop for new collectors who wish to learn about the field from MAM|FA’s knowledgeable and friendly staff. The gallery offers guidance and advice to new and seasoned collectors. The gallery consults for museums, auction houses and private collectors. Known for its good taste, expertise and scholarship, the gallery is also well known for its inviting atmosphere and unpretentious character. Since 1982, Mary-Anne Martin|Fine Art has contributed to the passage of Latin American art from an esoteric specialty to an international market. Mary-Anne Martin is one of the leading dealers of Latin American art in the United States. She single-handedly created the auction market for Latin American paintings during her years at Sotheby’s. As an independent gallery owner she has bought and sold some of the most well known examples of Latin American painting by masters like Tamayo, Rivera, Lam, Matta, and others. Her acquisition of Frida Kahlo’s 1949 Diego y yo set the record for a Latin American purchase. She has promoted the art of many younger artists and has given the first U.S. showing to painters like Nahum Zenil, José Luis Romo, and numerous others.